Protein powders are popular supplements for people looking to lose weight, gain muscle and improve athletic performance. Although often associated with men looking to bulk up, these supplements are favoured by women as well. In fact, many protein powders are now marketed specifically to women. They’re an effective tool for women looking to lose fat, tone up and improve strength. Whey protein is one of the most popular types of protein powder and for good reason. It’s a highly digestible milk-derived protein that contains all nine of the essential amino acids your body can’t make on its own. 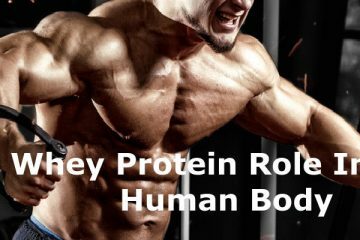 Whey protein supplements promote weight loss, enhance muscle growth and reduce hunger in both men and women. Whey protein also reduces ghrelin, a hormone that stimulates appetite, which may explain its effectiveness in reducing hunger and boosting weight loss. Plus, whey protein can help increase and preserve lean muscle mass, which is especially important for women throughout their lives. Additionally, whey protein speeds muscle recovery and reduces exercise-induced muscle damage in physically active women, making it an excellent choice for athletes. Hemp protein powder is an excellent plant-based source of protein. It’s made from the seeds of the hemp plant, which is in the cannabis family. Hemp protein has a rich, nutty flavor and is packed with beneficial nutrients. 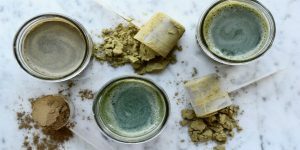 Although Hemp Protein powder is derived from a plant closely related to marijuana, it does not contain THC, the compound that gives marijuana its psychoactive properties. Although It’s a good source of omega-3 and omega-6 fatty acids in a favorable ratio of 3:1. Many diets are too high in omega-6s, which are abundant in vegetable oils and processed foods, yet lacking in omega-3s, which are found in foods like fatty fish, nuts and chia seeds. Furthermore, hemp protein powder is an excellent source of protein, delivering 14 grams per 28-gram serving size. However, it doesn’t pack as much protein as other vegan-friendly options, like pea protein, and it can be pricey. 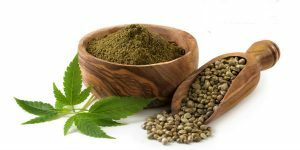 Nevertheless, hemp protein contains an impressive amount of fiber, healthy fats, iron, magnesium and potassium, making it a nutritious option for women looking for a well-rounded protein powder. Plant-based protein blends contain a mixture of protein sources. They vary in texture and come in a number of flavors. Mixing plant-based proteins together into one supplement boosts its nutritional value. However, most plant-based protein sources are incomplete, meaning they are lacking in one or more essential amino acids. Nevertheless, combining a few different proteins can fill in those gaps. For example, brown rice protein is low in lysine, while pea protein is a rich source of this important amino acid. Although there are a number of excellent plant-based protein powders, a blended product ensures you’ll receive all the amino acids your muscles need to recover and thrive. Pea protein is made from dried, ground yellow peas. It’s a favorite among vegans and people who can’t tolerate animal-based protein powders. Plus, it’s hypoallergenic, making it a safe choice for people who have food sensitivities or allergies. 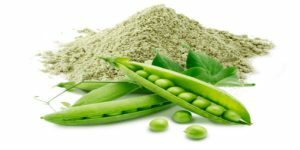 Although peas aren’t usually considered a powerful source of protein, pea protein powder is highly concentrated and is an excellent source of the essential amino acids leucine, isoleucine and valine. In fact, pea protein hydrolysate, a type of easily absorbed pea protein, was found to be more effective in suppressing hunger and increasing fullness in overweight adults than whey protein. Eggs are one of the best sources of protein that you can eat. Whole eggs provide the most nutrients, but consuming egg whites, which are almost pure protein, can benefit health as well. Egg white protein powder is a popular supplement used to boost protein intake and enhance athletic performance. Like whey protein, egg white protein is an excellent source of branched-chain amino acids that help stimulate muscle growth. It’s also a complete protein, providing all of the essential acids that your body needs to thrive. Plus, egg white protein is highly absorbable and dairy-free, making it safe for those with allergies or intolerance to dairy. it’s lower in carbs than other types of protein powders, which may make it a better choice for women with diabetes or prediabetes. 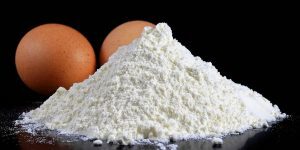 Egg white protein powder has a mild taste and can be easily added to shakes, smoothies and baked goods. Brown rice protein is another vegan-friendly option for increasing protein intake. For women who are intolerant to dairy or who want to avoid animal products, brown rice protein is the way to go. It’s one of the most hypoallergenic types of protein on the market and is easy to digest. Although it’s not a complete source of protein, like whey or egg whites, brown rice protein provides many health benefits. It’s a great choice for women looking to improve strength and increase muscle mass. In one study, brown rice protein was just as effective as whey protein for improving exercise performance and body composition. People who consumed 48 grams of brown rice protein on strength training days experienced increases in lean body mass, improved power and strength comparable to a group who consumed the same amount of whey protein. Protein powders are extremely versatile and are perfect for busy women who need a quick but healthy meal or snack. Simply combine your favorite protein powder with water, milk or a non-dairy alternative like almond milk. Protein powder makes a great addition to smoothies, providing a nutrition boost that will help keep you fuller for longer. 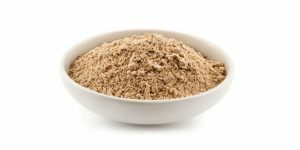 When using protein powder to speed recovery after strength training, it’s best to consume it immediately before or after a workout.If weight loss is the goal, having a protein-rich snack like a shake made with greens, fruit and protein powder may help curb your appetite later in the day. The post Top & Best 6 Protein Powders for Women is very helpful for best weight gain supplements for women! I wanna share the article to my private blog, can I? posts which consists of lots of helpful facts, thanks for providing these kinds of statistics.